Along with the first candy canes and wreaths going up, Christmas and holiday music is a tell-tale sign that the holidays are coming. Playing Christmas music as you open presents or singing “Jingle Bells” as you drive is such a fun way to partake of the holiday spirit. “A Rita Coolidge Christmas” has some of my favorite Christmas songs. From “Rockin’ Around The Christmas Tree” to “Amazing Grace”, it has an assortment of up-tempo holiday tunes and more mellow Christmas favorites. Throughout the CD, Rita adds her own touch to some of these popular Christmas classics. This was my first time listening to a Rita Coolidge CD and Rita’s voice reminds me of a cool jazzy singer with a hint of raspiness to it. I appreciated the special guests that joined her on this CD, such as the St. Genevieve High School Choir in “Circle of Light” and Lynn Coulter, who performed the duet “Baby It’s Cold Outside.” I think my favorite songs from this collection were “Jingle Bell Rock” and “Let It Snow, Let It Snow, Let It Snow,” which had a really cool latin flare to it. I thought the arrangements for all the songs were unique and interesting while still staying true to the original versions. If you would like to add “A Rita Coolidge Christmas” to your CD collection (it’s a great CD for parties or holiday gatherings) you can purchase it online from Amazon for just $9.99. Two time Grammy Award winner Rita Coolidge has signed with 429 Records and is preparing to release her first project for the label, “A RITA COOLIDGE CHRISTMAS.” The long-time hitmaker is known for her inspiring and unique annual Christmas tours and she’s now decided to capture the spirit and magic of those shows on her new album. 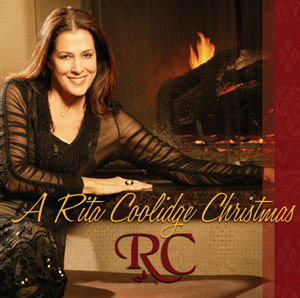 One winner will receive a copy of the “A Rita Coolidge Christmas” CD. Disclaimer: This review was made possible by Double Duty Divas and Rita Coolidge. I was provided the featured product free of charge to facilitate my review, but all opinions are 100% mine. My favorite song is Baby It’s Cold Outside but the Jessica Simpson, Nick Lachey song. I love that one!